Understanding the different types of bad credit car loan dealer types can help credit challenged consumers decide how to finance their next car. At Auto Credit Express we've spent the last 20 years working with consumers who have bad credit and helping these individuals raise their credit scores and reestablish their car credit by financing a vehicle with a bad credit car loan. Along the way, we try to provide our applicants with the information needed in order to make an educated decision on how to approach the credit rebuilding process, since a poor decision can trap them in a loan they can't afford which could result in actually lowering their credit scores even further. As with anything else, the key to a successful bad credit car loan is focusing on the basics. In this case, it means understanding the different types of loans that various car dealers offer. 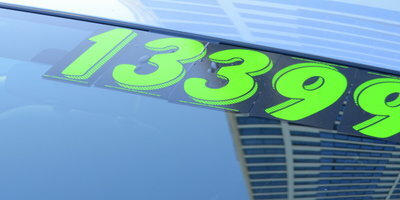 A franchised dealer is one that sells new cars from a particular manufacturer or manufacturers. These dealers usually also sell used cars. Although these dealers have no special finance department and probably don't offer a “tote the note” or “buy here pay here” program, there is still a chance they can get you financed with a regular lender that will check your credit. The only catch is that you'll have to come up with a large down payment. And by large, we don't mean a couple thousand dollars. If your credit is bad, you may have to come up with a down payment equal to anywhere from 40% to 60% of the selling price of the vehicle. Again, these are franchised dealers that sell new and used cars. The difference is, these dealers also have a department that works with customers with poor credit. And while these bad credit lenders will check your credit, if your application is your down payment will normally be between 10% and 20% of the selling price. The other advantage of getting approved with one of these bad credit car loan lenders is that they will report your payment history to the credit bureaus (Equifax, Experian, and TransUnion). By successfully completing one of these loans, you could qualify for a lower interest rate the next time you apply for a car loan (provided you've paid the rest of your bills on time). By far the easiest way to get a bad credit car loan with no credit check is through a dealer that does what is known as on the lot, tote the note, or buy here pay here financing. Unlike traditional dealers, these places don't fund their loans through a finance company. Instead, they finance vehicles using their own money. For the most part, they only thing these dealers look for is an ability to pay back the loan. This means that, for the most part, the larger your income the higher the loan balance that you'll qualify for. The downside to these types of dealerships is that you'll probably be paying a lot more for the car in relation to its value: most in-house financing dealers ask for a down payment that covers their cost of the vehicle. Your payments actually go towards their profit on the car. Other than vehicle cost, the other downside to this type of dealer is that your payments probably won't be reported to the credit bureaus. This means that the next time you need to finance a car, you'll be in basically the same credit situation that you're in now. If all you want is a cheap used car with no credit check, than the buy here pay here dealer is exactly what you're looking for. On the other hand, if you would rather begin the process of reestablishing your car credit while improving your FICO score, you owe it to yourself to find a franchised dealer that does special finance – something we specialize doing at Auto Credit Express. For nearly 20 years, Auto Credit Express has been helping people with credit problems get approved for new and used car loans. Our dealer affiliates work with a broad spectrum of bad credit auto loan lenders to get you approved. Since our inception, we have processed over 1,000,000 online bad credit auto loans and closed over 1 Billion dollars in auto loans. For more information, please visit www.autocreditexpress.com to see what we can do for you.